Press Cafe has been rocking the delivery world of the Athenian neighbourhood of Pagrati for quite some time now... say 15-20 years? To Mavro Provato was born in 2012 as a natural consequence for catering to the loyal fans of this great cuisine. A few years later, it now also features a great (and more green) space in the northern suburb of Melissia. The story of Press Cafe actually dates back to 1984 when Evdoxia Pantou initially launched a video club (remember VHS?!) in Kolonaki, Video Press, which had great success by the way. A few years later and into the 90s, the DVD arrived which forced the owner to shift focus to fast food and coffee, by launching Press Cafe in Kolonaki. 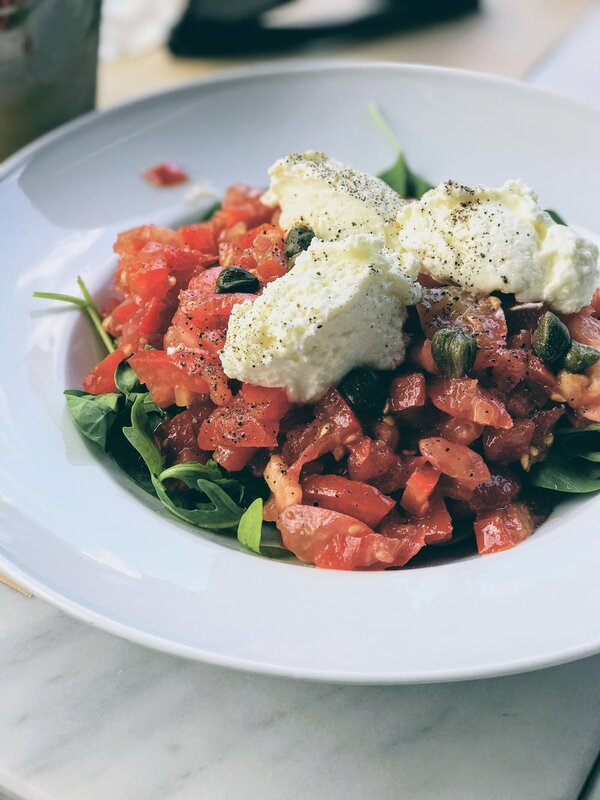 Ever popular and ever welcoming more and more food aficionados of the city centre, the Press Cafe team launched in 2012 To Mavro Provato in Pagrati making it an instant hit! The philosophy behind it is quite simple: simple Greek comfort food -cooked in a more sophisticated way- fast/friendly service and great prices. Enough said. Ever since, I've visited To Mavro Provato quite a few times (both in Pagkrati as well as in Melissia) and it never ceases to amaze me! It may be the simple yet very tasty dishes, the exceptionally great value that you get for what you pay or just the fact that it's comfort food at its best... not sure. For whatever is worth it, I'll definitely visit soon! If you're also in Athens and haven't tried this yet, it's high time you went and enjoyed their welcome treat of raki shots and make-your-own bruschetta, and all of their delicious dishes. Try the grilled chicken thigh fillets (while fried potatoes are good, oven cooked ones are even better - ask for a swap! ), the meaty grilled mushrooms and the grilled beef patties! There are many other dishes that come to mind and a few other daily ones for which you need to ask your waiter. After all, it's always best to also discover something on your own!